The Stratolaunch aircraft completes a taxi test. Credit: Stratolaunch Systems Corp.
WASHINGTON — It’s been widely reported that the U.S. military views its satellites in space as prime targets of enemy aggression. But opinions diverge over how to deter and defeat potential attacks. One school of thought is that satellites could be made less attractive targets if the military were able to launch new ones into orbit at will, within minutes or hours of an attack. This approach appears to be gaining traction especially as the commercial “new space” industry produces increasingly sophisticated vehicles in smaller sizes. It still came as a surprise to many that the Air Force budget request for fiscal year 2019 establishes a “small launch” program with a dedicated funding line of $192.5 million over five years. “This is a new start,” confirmed industry consultant Mike Tierney, of Jacques & Associates. The Air Force will not be buying rockets but acquiring launch services from the private sector. The budget forecasts $47.6 million for 2019, $11.5 million in 2020, $57.9 million in 2021, $12.1 million in 2022 and $63.4 million in 2023. The military already is experimenting with new launch technology. Under the DoD “space test program,” the Air Force in November signed a contract to fly an experimental payload aboard Virgin Orbit’s LauncherOne sometime in 2019. This vehicle uses a modified Boeing-747 aircraft as a mobile launch pad for LauncherOne to lift small rockets. Virgin Orbit’s LauncherOne is designed for 660-pound missions to low-Earth orbit. Companies like Virgin Orbit and Stratolaunch have set up dedicated services for the national security market. 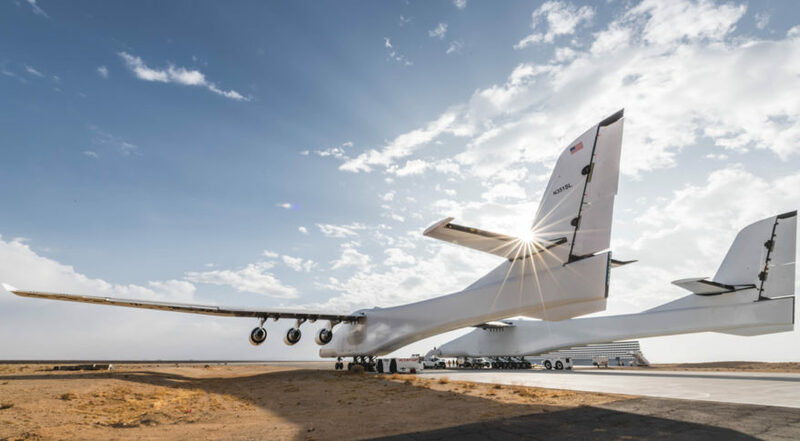 The Air Force creating a budget line for small launch is a “very good thing for the industry,” said Steve Nixon, vice president of strategic development at Stratolaunch. The Air Force says the small launch project complements the Evolved Expendable Launch Vehicle program that supports large satellites. The new effort is for “dedicated spacelift and rideshare services for developmental, demonstration and small operational space vehicles,” according to budget documents. Previously, small launch funding resided in separate satellite program budgets. Having a consolidated budget line “allows the Air Force the flexibility to manage dynamic manifest requirements as new launch service providers emerge,.” the Air Force said. The Air Force’s small launch program would cover payloads up to 8,000 pounds. SpaceX’s Falcon 9 rocket by comparison can carry 50,265 pounds to low-Earth orbit or 18,300 pounds to geostationary orbit. A lift capacity of 8,000 pounds is still sizeable by the standards of small satellites. Arianespace’s Vega, for example, carries 3,300 pounds and is still considered large compared to other small satellite launchers. Europe uses the term micro-launcher generally for vehicles with capacity below 1,100 pounds to low-Earth Orbit. Staff writer Caleb Henry contributed to this story.